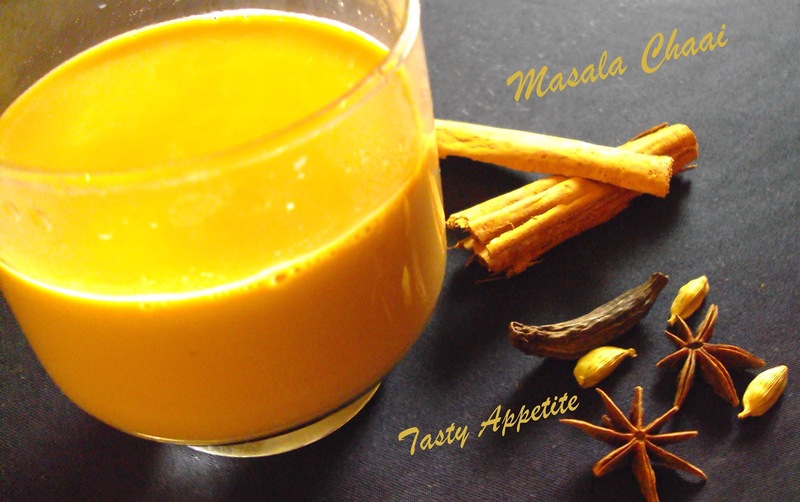 Masala Chai is an aromatic spiced beverage, which is popular in many countries. This simple recipe is prepared with spices like cloves, cinnamon, cardamom and pepper. Indian masala chai should be spicy, milky and strong. This magical drink has a refreshing and awesome taste. 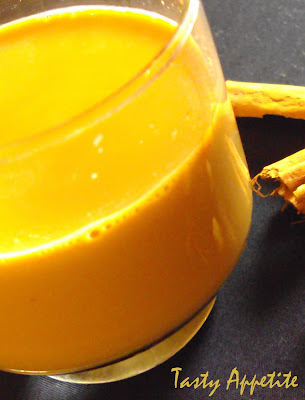 This is one of my hubby s favorite recipe for spiced tea and I m glad to share today with you all. 1. Crush cinnamon, cloves, cardamom well in a mortar. 2. Add the crushed spices in a small bowl. 4. Heat for 2 minutes. 5. Remove from flame and keep it covered for 5 minutes. 6. Now add milk, black tea and sugar. 7. Stir well and bring it to boil. 8. Turn off heat and strain it in tea cups. 9. Yummy masala chai ready to give a taste..! love this flavourable tea..my fav one!! So happy to see your chai spice tea recipe. I have made the spice blend (ground) so I can add it to coffee, tea, or use it in baking. I am going to try yours this weekend! Yummy! looks so tempting and refreshing..
Love Chai tea and this combination looks wonderful! Refreshing cup of tea, looks so delicious. This looks so refreshing and tasty! And, I love the yellow color! adding cinnamon and pepper to tea sounds new and will be refreshing too. Looks simply perfect and awesome !! Refreshing tea Recipe.Love it.Do visit my blog when you get time. Perfect for a tired day! !I always wished to have this recipe..thanx for sharing,Jay! I don't drink tea usualy but man this looks so good. I'd love a sip right now. Just logged in, saw ur message and ur posts too..Glad u got it back..And this recipe is damn good and wish I had the habit of drinking of chai..So colourful n vibrant.. This looks so refreshing and simply beautiful colour of sunshine! Would love to try this! Thank you for sharing! Masala chai always remains my fav...I usually make some ground masala and use it for my tea as and when required. I drink at least 5-6 cups of tea a day; I've never tried to make my own Masala Chai, but instead have used either tea bags or pre-mixed loose tea infusions. I'm definitely going to try this, thanks for the recipe. Nice one Jay!!!! A perfect start to a a chilly rainy day!! Masala tea looks so refreshing. Love it. Masala chai are always my fav, can have it anytime.. I thought this was a mango delight :) Yummy chai, Jay! Slurp! Oh, thank you for following me!!! 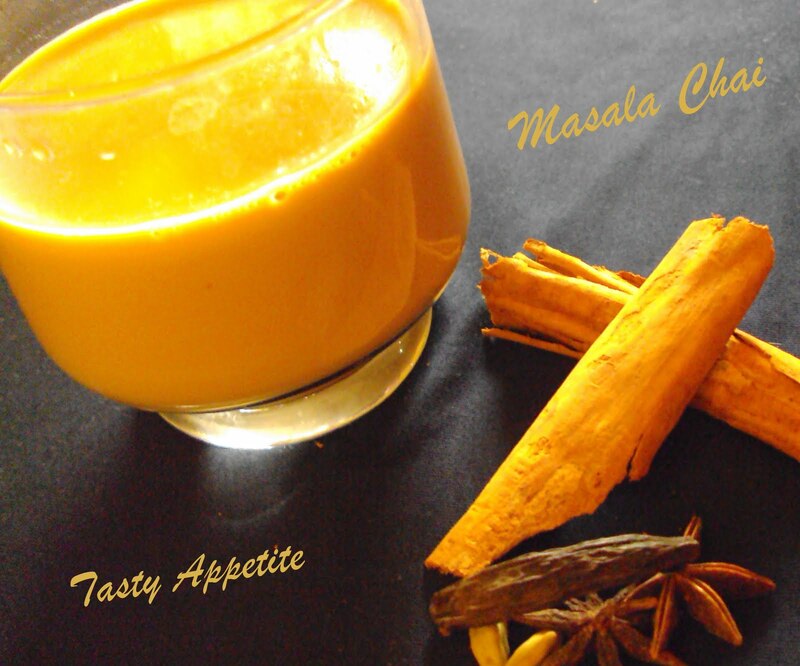 Wow, now I don't have to ask friend Jyoti for this yummy masala chai tea that we had together a couple of weeks ago. LOVE it! wow, this tea looks perfect for the summer! love that orange color!! I will wait for the rain to set in then I will try this masala chai with some onion fritters! LOve the colour you have got! got to try! !